An operation and a surgery are medical terms that are often used interchangeably, but there are certain differences between them. 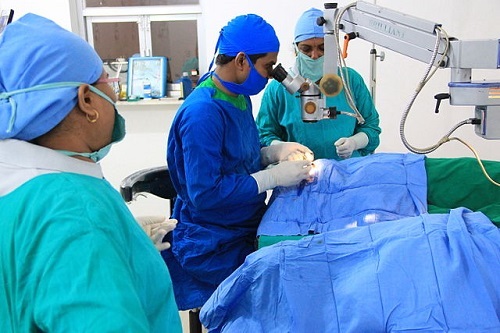 The major difference between the two is that surgery is always used from a medical perspective while there are some operations carried in different fields. From a medical perspective, surgery refers to a procedure that involves incision on the body to repair, remove or to replace a part. The aim of surgery is to prevent a disease or to cure it. A surgery also refers to a place where a surgery is done. In the same vein, a surgery can also be used to refer to a private place where a doctor practices his or her work. Many people visit a surgery for treatment as well as other services related to medical care. An operation is a surgical procedure which denotes method or practice whereby action is done or performed. This is a medical procedure designed for a specific result that is desired. As a noun, operation refers to the method whereby a device performs certain functions. The term denotes action whereby a function is performed. The machine performs an operation of a particular task on its own or it is operated by a human being. Operation can also refer to different types of action that can be undertaken by people. For instance, military and business operations are specifically undertaken for different purposes outside the medical field. When an operation is undertaken, certain goals are expected to be achieved. A surgery can only be used from a medical perspective representing a procedure. This procedure is carried out with the purpose of solving a specific health related problem. An operation on the other hand is concerned about a method by which certain action is performed. There is action in an operation. On the other hand, a surgery can be used to refer to a place where surgical operations or other related tasks are performed by the doctors. A surgery is a medical procedure that involves body incision to remove or repair a part of the body. On the other hand, an operation denotes a method by which particular action is performed in order to obtain the desired result. 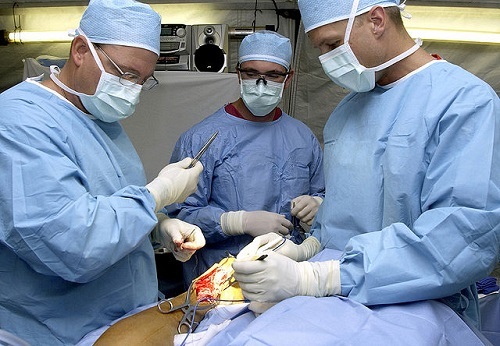 An operation can refer to different actions outside the medical field. Business and military operations are good examples. A surgery can only be performed by a skilled person who has specialized in the medical field. For example, a surgery can only be performed by a registered doctor. Any person with experience and knowledge in a specific field can perform the operation. Many people are of the view that a surgery and an operation are synonymous since they refer to certain procedure. However, it can be seen that there are some differences between the terms. A surgery can always be used from a medical perspective while an operation can be used outside the medical field. Operation always denotes action that is designed to achieve certain goals. In contrast, a surgery can also refer to a place where surgical operations can be conducted. Trevor Mark. "Difference between Surgery and Operation." DifferenceBetween.net. November 6, 2017 < http://www.differencebetween.net/science/health/difference-between-surgery-and-operation/ >. This is helpful, I now know the different between the two.